Metro Park VI is a 20-story office building and associated site that houses the regional headquarters for a large defense contracting firm. 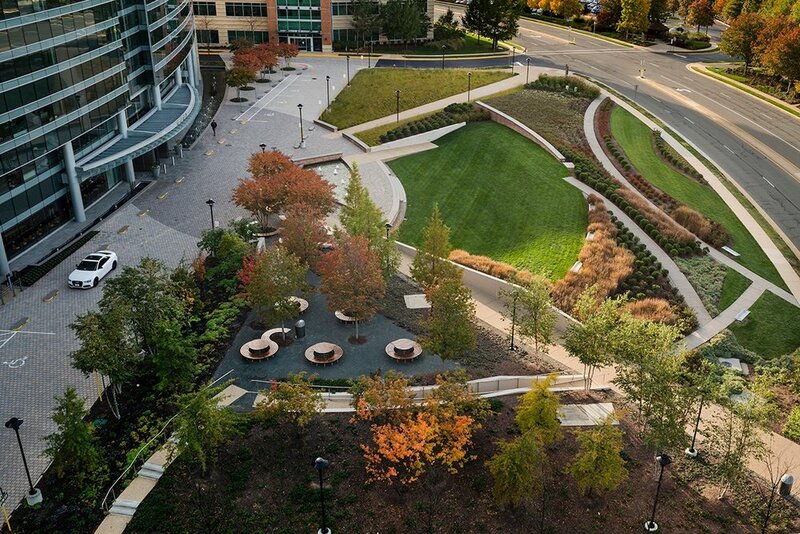 Located in an office park in Alexandria, Virginia, the landscape scope for the project includes a distinctive shared driveway and drop-off area, a large multi-functional landscaped area in front of the building, and several ancillary spaces. The LAB team devised a conceptual approach to the site that referenced the geometry of the building, treating the landscaped area at the front of the site, which is visible from several nearby tall office towers, as an abstract composition. 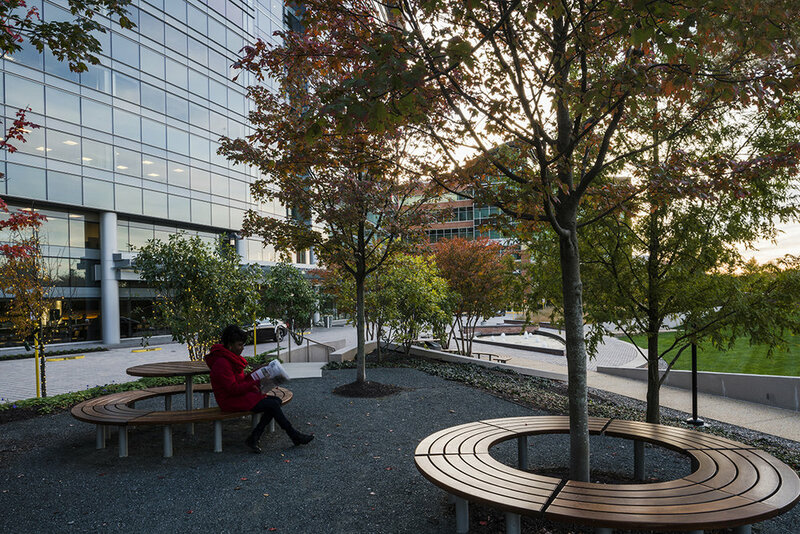 The space also fulfills a number of important programmatic needs including providing a shaded outdoor dining area, improving pedestrian site circulation, and the inclusion of a sloped lawn area for informal use. The drop-off area at the front of the building, paved in permeable pavers that collect stormwater, culminates at a curbless entry plaza demarcated with several distinctive fountains. The design approach extends to the rear of the building where a fire lane is incorporated into the overall composition of the site. Paved in a tapestry of drivable materials, the space feels like a garden rather than a purely functional site element.